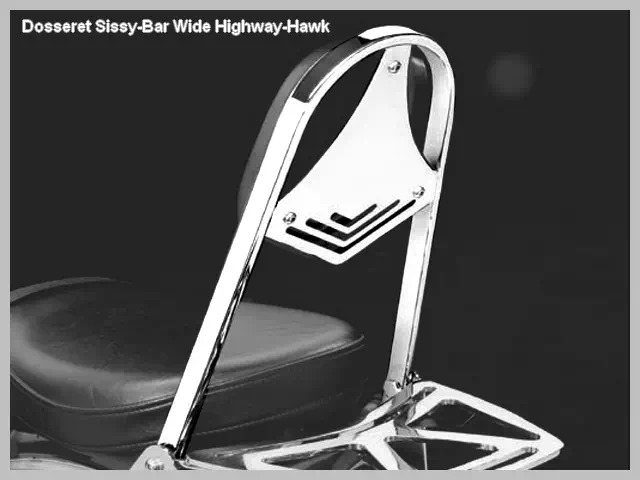 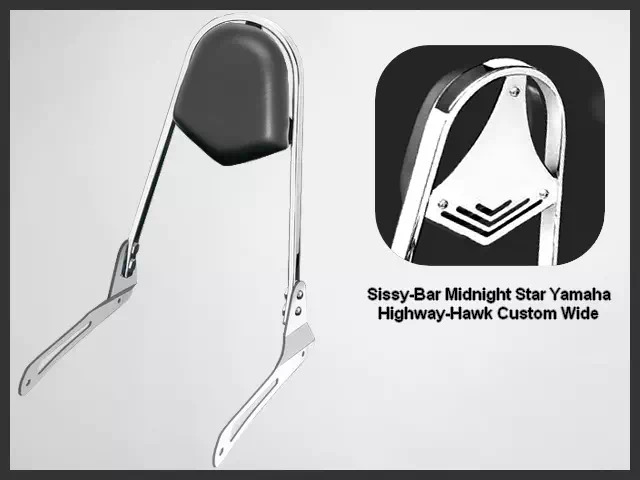 Sissy-Bar Wide Moto Custom Yamaha XVS 1300 A Midnight Star Highway-Hawk Acier Chrome avec Dossier Passager Noir. 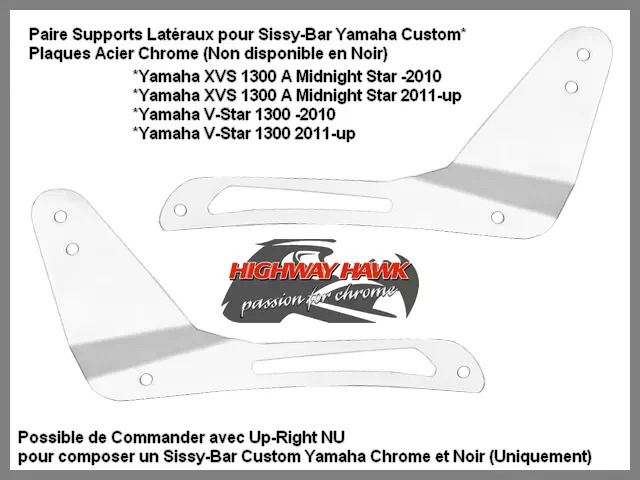 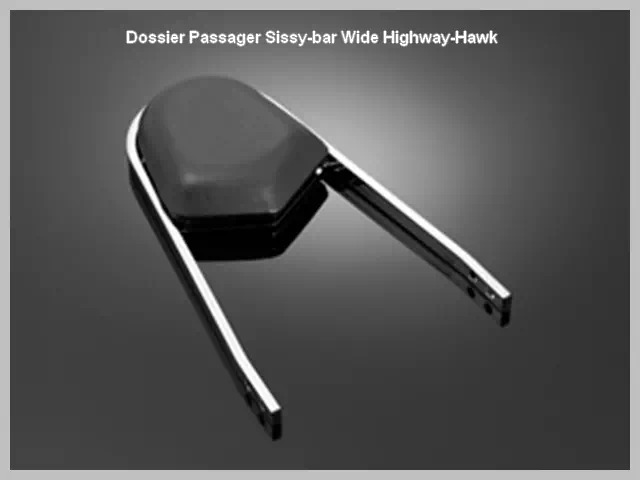 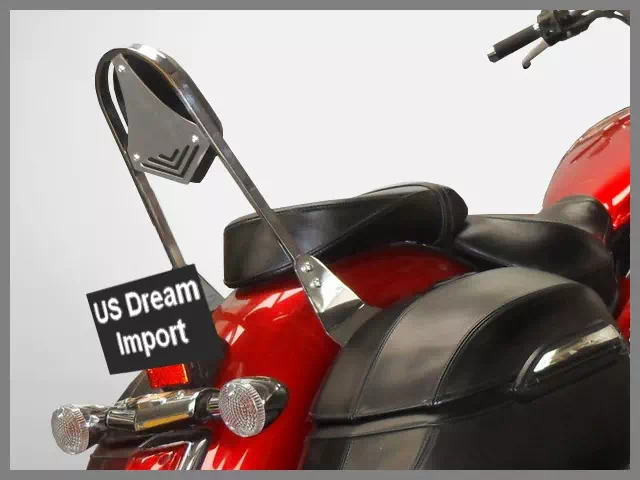 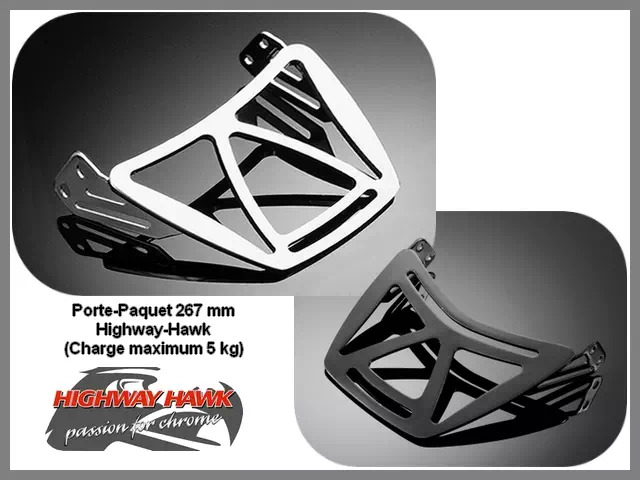 Dosseret Passager Large (Wide) pour Moto Japonaise Yamaha XVS 1300 A Midnight Star. 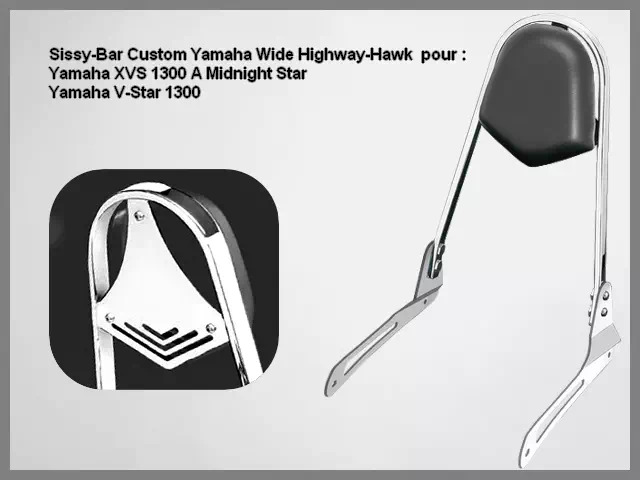 Affectations Vérifiées* : Yamaha XVS 1300 A Midnight Star -2010, Yamaha XVS 1300 A Midnight Star 2011-up, Yamaha V-Star 1300 -2010, Yamaha V-Star 1300 2011-up. 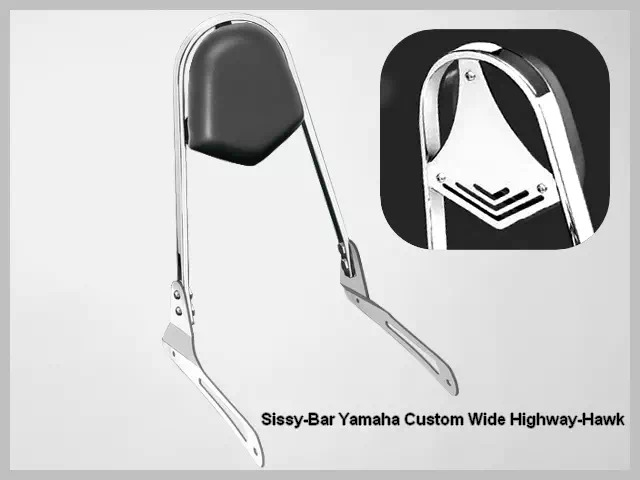 Sissy-Bar Wide pour Moto Custom Japonaise Yamaha XVS 1300 A Midnight Star. 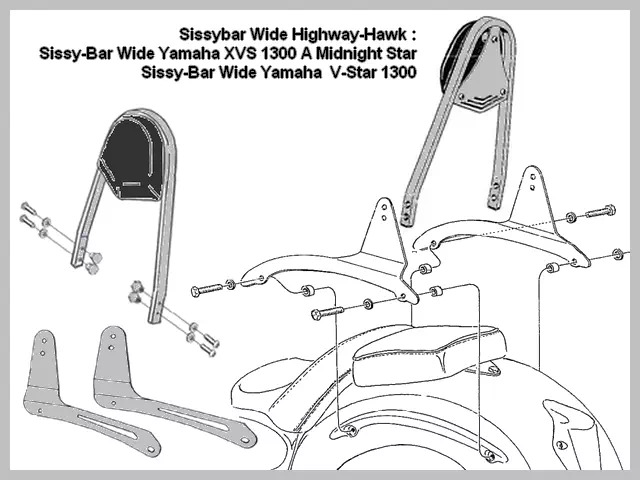 Yamaha XVS 1300 A Midnight Star -2010, Yamaha XVS 1300 A Midnight Star 2011-up, Yamaha V-Star 1300 -2010, Yamaha V-Star 1300 2011-up. 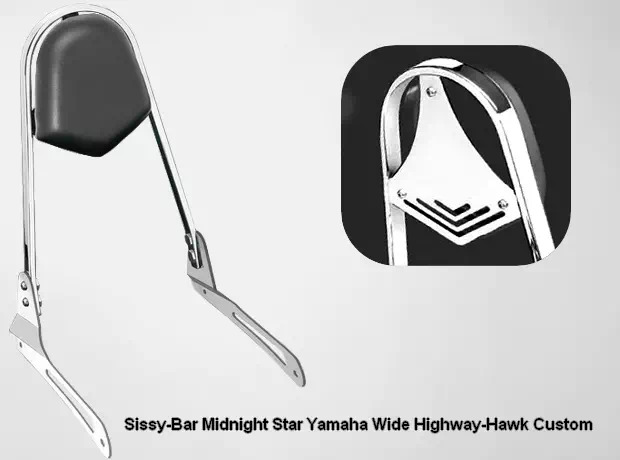 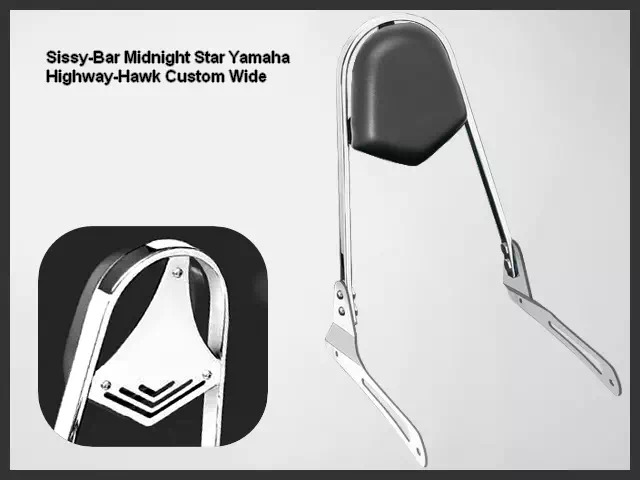 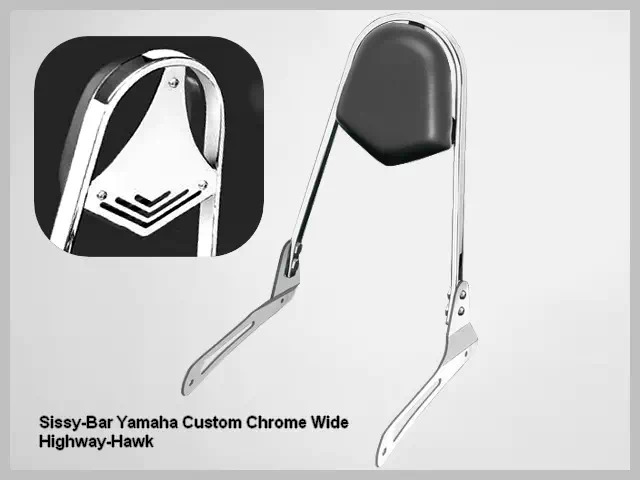 Osez le look "Low Rider Biker Choice" avec ce Dossier Passager Wide pour Yamaha XVS 1300 A Midnight Star. 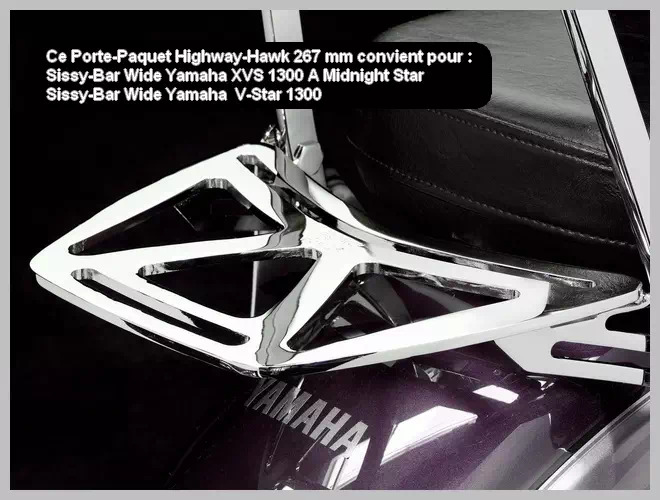 Sur Affectations Vérifiées : Yamaha XVS 1300 A Midnight Star -2010, Yamaha XVS 1300 A Midnight Star 2011-up, Yamaha V-Star 1300 -2010, Yamaha V-Star 1300 2011-up ou Montage Libre sur un Autre Custom.